I often struggle to say no. 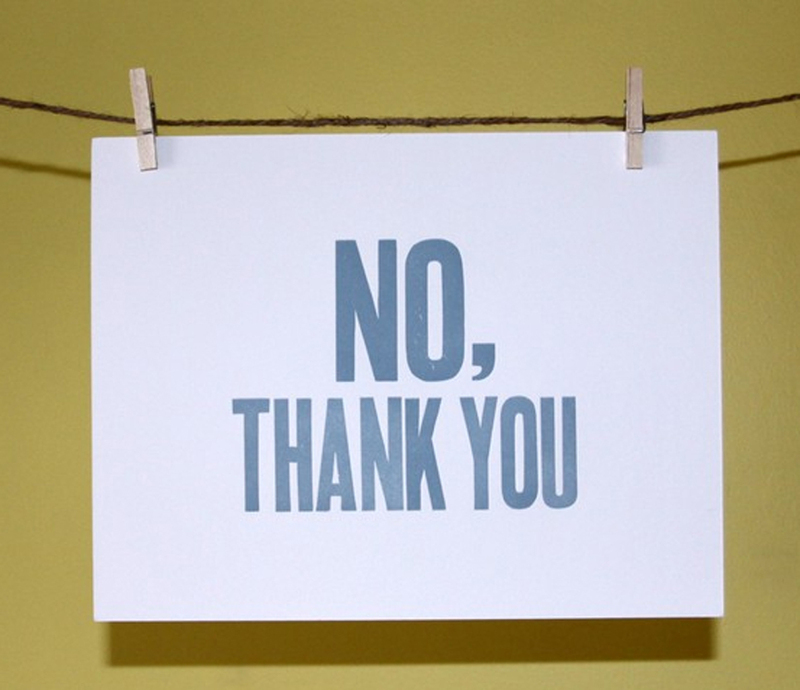 Not always – there are some instances where I find saying no a cinch. For example: “Leanne, would you like to go on a run?” My response? “No, I would not.” Or: “Leanne, can you help me fix my computer?” My answer: “No, that is not something I will be able to do.” I can also assure you I will easily say no if you ask me if I want to watch a horror movie, wear a strapless dress or attend a Gospel Coalition conference. But other times no is very hard for me, in particular if I can see a need where I can help or if it is a good opportunity for ministry. Leanne, would you like to speak at this event? Serve on this committee? Meet someone for coffee going through a difficult time? Would you be free to help with this project, because we are really short on volunteers? Could you step in because someone else stepped down? I respond to emails and phone calls on my days off. I agree to things and instantly wish I hadn’t. I find it hard to say no because there is so much need, and I don’t want to be a jerk, and I want to be faithful to God. This is particularly hard as a pastor, because there is always need around me. There are always people who have a ministry they want to tell me about, or ask me to promote. There are always people who are struggling, always another phone call I could make, another meeting I could attend, another message I can answer to assure people they are important to me. I wonder: Is it really okay to say “no” to people who need help, to good things, to mission and ministry and all the valuable things that can happen through them? We read a story that illustrates this in the Bible. It’s shortly after Jesus has begun to teach and lead and heal people. One day he goes to a place called Capernaum and while he is there word about his miracles starts to spread. It says that in the evening crowds gather around the house where he is staying so that they can receive healing from him. There are so many people, and so much need, and he spends the evening responding. You can hear the urgency in that statement, and all that it implies. There are people that want healing! There are people that need help! There is so much to do – how can you be here resting by yourself? Man, that’s how I feel sometimes. There is so much that could be done. It’s like a voice saying to me: “Everyone is looking for you!” And if I was Jesus in that situation, I probably would have booked it back into town as fast as my sandals could carry me. You read it right. He leaves. Even when there were whole crowds waiting for him. Even when what they wanted were very good things. Even if people would be disappointed. How did he do this? If we look in the story, we see that it starts with prayer. It was after spending time with the Father that Jesus could discern what was next for him. When he knew the next step (going to another town) he could say “no” to what would distract from that (following the crowd’s demands). I once heard someone say: “The only person without a Messiah complex was Jesus,” and it made me smile. If Jesus can say “no,” even to the good things, surely we can as well. There will always be crowds. There will always be more good to do. There will always be people asking us to save them. It is not saying “No, you’re not important.” It is not saying “No, this doesn’t matter.” It is not saying “No, I don’t care.” It is saying: “No, this isn’t what I am called to do/able to do/have been gifted to do.” It is being faithful to a bigger purpose, and it is good. If you would like to receive updates on new posts to this blog, click the “follow” button on the side of this page and you will receive an email alerting you to new posts.